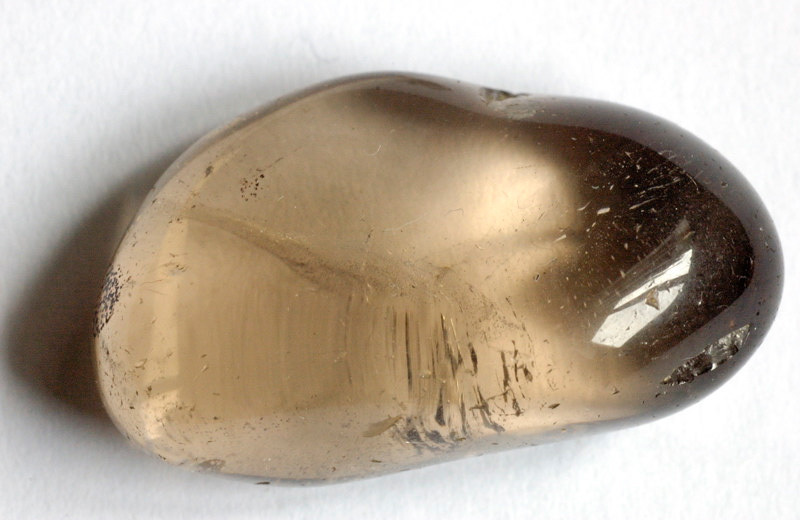 Smoky quartz; Doronenko on Wikipedia (use permitted with attribution). 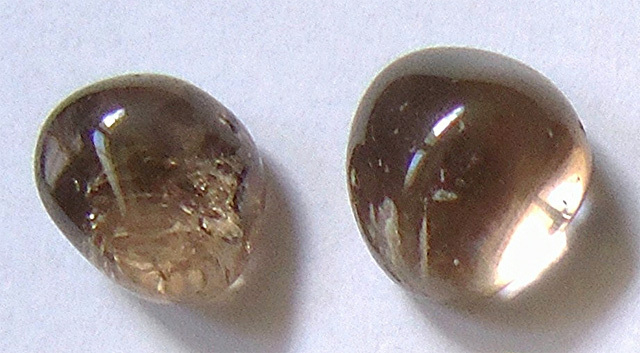 New Hampshire designated smoky quartz as the official state gem in 1985 (also known as cairngormas). Quartz is a common mineral found in many types of rocks, including granite (New Hampshire's official state rock). Smoky quartz pebbles; photo by MAURO CATEB on Flickr (use permitted with attribution). 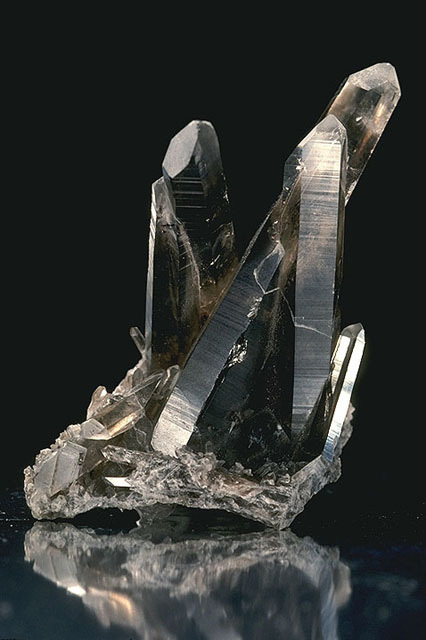 Smoky quartz crystals; public domain image on Wikipedia.